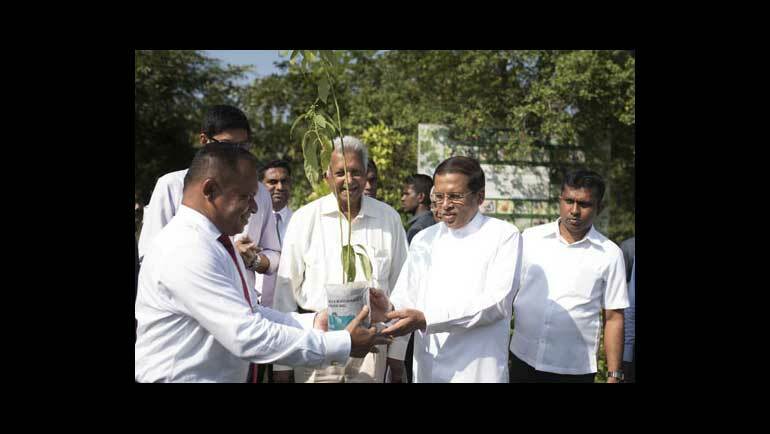 President of Sri Lanka, Maithripala Sirisena today inaugurated Dilmah Conservation,s One Earth Arboretum. 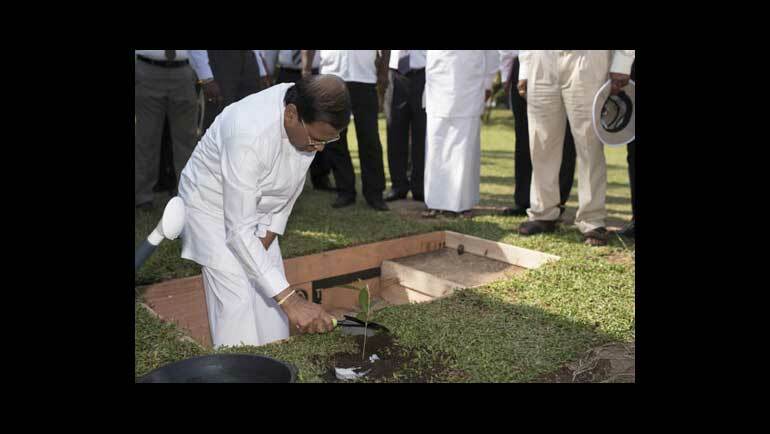 In the capacity of Minister for the Environment, President Sirisena has been a strong advocate of environmental protection. He was joined by Dilmah Founder Merrill J. Fernando, who shares the same commitment to environmental stewardship, in declaring open the unique and far reaching project. 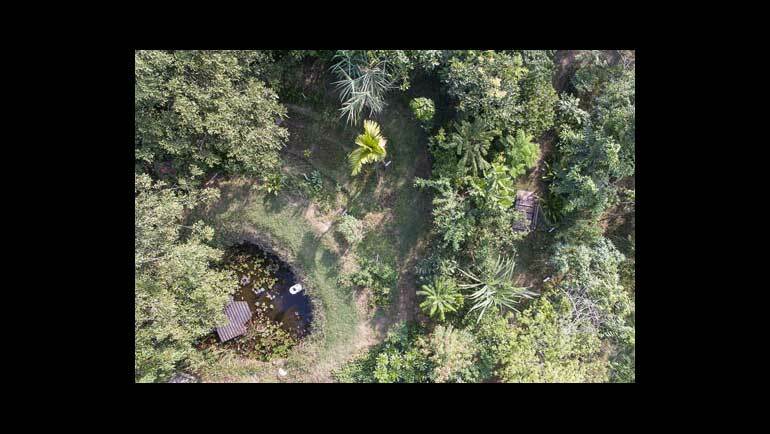 The One Earth Arboretum is located in Moratuwa, and features over 500 species in a project that engagingly presents the aesthetic and functional value of nature. 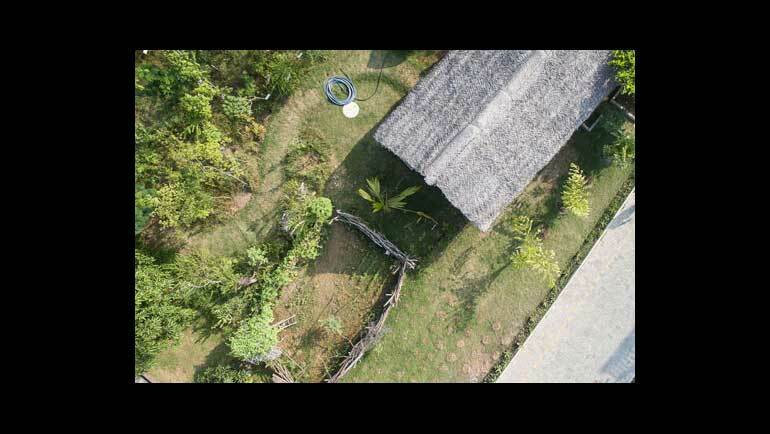 The One Earth Arboretum is Sri Lanka,s first Urban Arboretum; it is an urban biodiversity experience that is designed to present the aesthetic, functional and psychological value of nature in an interactive and educational facility. The unique space in Moratuwa, on the outskirts of Colombo, features the natural beauty and provisioning, regulating, supporting and cultural benefits in Nature, to express the importance of respectful co-existence amongst humankind and nature. 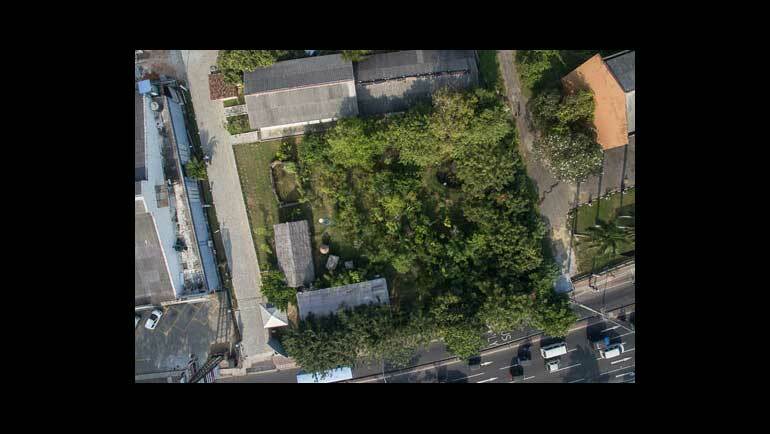 The One Earth Arboretum is established by Dilmah Founder Merrill J. Fernando for the benefit of present and future generations in fulfilment of his pledge to make his business a matter of human service. It will promote the study and appreciation of Nature and a more enlightened attitude towards forests and biodiversity. Nature renders benefits that are vital for the existence of humankind and whilst critical to our existence, these ecosystem services are invariably taken for granted and as a result often irrevocably overexploited for commercial gain. They include recycling of nutrients, formation of soil for food production, water purification and flood prevention. Other services including water, genetic resources for medicines, food, minerals, energy and regulating services such as water and air purification, carbon sequestration, climate regulation. Cultural services include recreation, therapy, and scientific knowledge amongst others. The One Earth Arboretum features over 500 floral species in two ecosystems featuring traditional tank centric agriculture, rain fed chena cultivation, and Sri Lanka agricultural heritage in paddy cultivation. It will explain the nutritional, medicinal, aesthetic, life supporting and other benefits in each of the species whilst showing also how traditional Sri Lankan lifestyles evolved in respectful and mutually beneficial way. Research confirms that urbanization fosters apathy towards the environment and wildlife that is the result of the disconnect in cities between humans and nature. The implications are alarming, both for human welfare and the consequences of biophobia amongst urban populations. With 55% of the world,s population currently living in cities and that number expected to account for two-thirds of global population by 2050, promotion of biophilia and better understanding of the critical importance of a healthy environment for human life are vital. A 2010 Harvard Health study discovered that apart from uplifting mood, enhancing Vitamin D and promoting exercise - which is essential for good health - nature supports faster healing, concentration and reduces mortality rates. The study of 100,000 people found that those living amidst greenery had 12% lower mortality compared with others who lived in built up areas. Nearly 30% of the benefit of living around green spaces was linked to improved mental health, measured though lower levels of depression. Through the One Earth Arboretum, which occupies prime urban land, Dilmah Conservation and its Founder, Merrill J. Fernando hope to express the value of Nature, and thereby promote attitudinal change that will help current and future generations in Sri Lanka protect Nature, adopt sustainable lifestyles and build greener, healthier and more sustainable cities. At the inauguration of the One earth Arboretum, Merrill J. Fernandoi will present His Excellency the President the first copy of ,Hela Batha Asiriya, (The Great Sri Lankan Agricultural Tradition) written by Mahinda Kumara Dalupotha and published by Dilmah Conservation. The One Earth Arboretum, its presentation of forestry and traditional agricultural systems and the accompanying publication have the objective of helping present and future leaders in our increasingly urban society, understand the role of nature and avoid the biophobia that has become a blight in many countries. 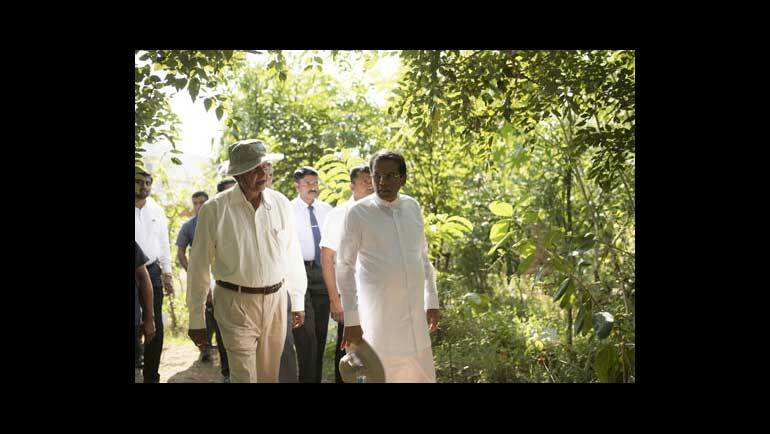 The inauguration of Sri Lanka,s first urban arboretum will be followed by the formal commencement of a joint commitment amongst Dilmah Conservation and Kahawatte Plantations to biodiversity and nutrition amongst rural communities. This will be marked by the Dilmah Founder,s presentation to Viren Ruberu, CEO of Kahawatte Plantations PLC., with the blessings of His Excellency the President, of the first sapling in a programme that will see 10,000 fruit trees of endemic species planted on Kahawatte Plantations for the benefit of communities living in and around them. The MJF Centre Moratuwa was established in 2011 to support Dilmah Founder Merrill J. Fernando,s vision of sharing the success of his Dilmah brand with the less fortunate and the poor. The Centre is located on a sprawling urban estate in Moratuwa, a populous city in the Colombo District. The MJF Centre houses the MJF Kids Programme, the Rainbow Centre for children with disabilities, a centre for women to seek support and solace, the Curtiss Centre for Design, Empower Culinary and Hospitality School and the Dilmah Conservation Sustainable Agriculture Research Centre. Dilmah Conservation was established in 2007 as an affirmation of Dilmah Tea,s commitment to environmental sustainability, ensuring that all its operations are bound by a respectful and sustainable interaction with the environment. Since its inception, Dilmah Conservation has worked on numerous initiatives successfully combining environmental conservation with livelihood development. Categorized into four focal areas which are sustainability, biodiversity, heritage and communications, these initiatives include the creation of reconciliation programmes by using nature as a catalyst, introduction to sustainable initiatives in the spheres of agriculture and the implementation of programmes on the protection of species habitat and biodiversity through public service announcements and other media.